Oakland, CA-based Jeffrey Harland and New Zealand native Matt Bullimore began Legs in a cold, concrete practice space in West Oakland, California during the winter of 2011. While remaining a personal recording project for a year, the pair busied themselves finishing a batch of songs informed by their love of jangly guitar pop dispatched during the early 80's by labels like flying nuns and creation records, with some simple chord progressions and rudimentary drum beats filtered through the haze of obsolete reverb units and dirty tape machines; vocals float, cymbals crash and guitars scratch. 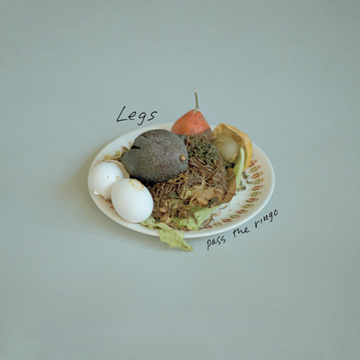 With the help of many friends and the addition of vocalist Amelia Adams, the group put together Pass The Ringo, their debut LP. Limited Edition pressing of 500.